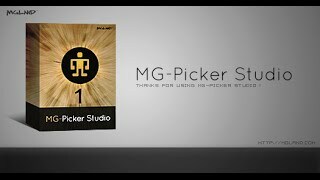 MG-Picker Studio is a very intuitive and animator-friendly picker GUI for Autodesk® Maya®, with powerful features that enable you to create your own freestyle, cutting-edge picker without any prior knowledge of coding. 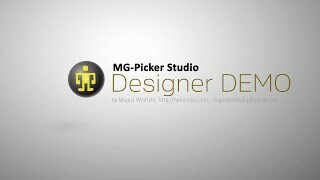 Traditional Maya picker GUI only helps with selecting and command executing, while MGPicker does much more, it serves as a very improved, animator-friendly rig interface. Design powerful, animator-friendly pickers even without any coding. Very rich picker interaction with animator, selection synchronization. Multiple picker views at the same time, zoomable picker view. Attribute-button to control other picker item visibilities as well as Maya attribute. Slider to control two attributes maximum via its translation in x/y. Text item to annotate your picker. Picker panel to organize your picker. 1-click to create all the types above. Snapshot of images used in picker file, image editing within the tool. Pose command-button with thumbnail images. Free-form picker shapes, fully customizable looking. Supports polygon and bezier curve button shape drawing. Design left/right clicking menu for each picker item. Embeddable within asset using Maya's built-in node type. Templates to speed up picker creation. 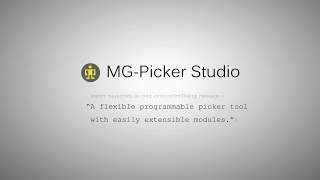 The full solution for distributing pickers among the production pipeline. The rich mechanism for extending the picker functionality. All picker items are fully programmable using MEL & Python API. No custom node types, Maya scene is totally independent of the tool. Installer supports Maya 2014 to 2018 version. If you require previous versions, please download them here. The program is totally free for animators who only need to load and use the picker files/nodes, charges for picker designers. Installer supports Maya 2014 to 2018 version. Highly customizable and programmable with rich API in MEL and Python. Production-proof, already adopted by big, world-leading studios.